This week, Metro is conducting limited Gateway Card testing at select Ticket Vending Machines on the Metro system. The test involves a total of four Ticket Vending Machines in an effort to verify the process of loading and dispensing Gateway Cards is working as expected. Riders who are not already Gateway Card testers may join the pilot test by obtaining and loading a Gateway Card during testing times and locations listed below. Metro staff members are on hand to help get you started. 7-9 a.m. and 4-6 p.m.
You must provide contact information in order to become a Gateway Card tester. For this pilot, testers will not be responsible for the cost of the card; however, you will need to pay for your fares – the pass or cash value you load onto the card. Only full fare riders can participate in this part of the pilot. Reduced fare customers will have an opportunity to participate in the future. Gateway Card testers are expected to use their Gateway Cards regularly in order for Metro to evaluate Gateway Card usage. For the most part, any Metro transit passes you currently buy from a Ticket Vending Machine are available on the Gateway Card. Short-term rides (One-way, 2-hour trips, round trips and one-day passes are not available as passes. You will need to load the cash value equivalent instead). If you have any questions, please call 314-982-1500 (MO) or 618-274-1500 (IL), or visit mygatewaycard.com, for more information about the Gateway Card. I just changed jobs which requires riding the bus 5 days per week. I have been paying cash. I had planned to purchase a monthly pass for $78 starting in November. I don’t understand how the Gateway card will help me save money over a Monthly Pass. With a Monthly Pass, can’t I ride as much as I want for $78 per month? 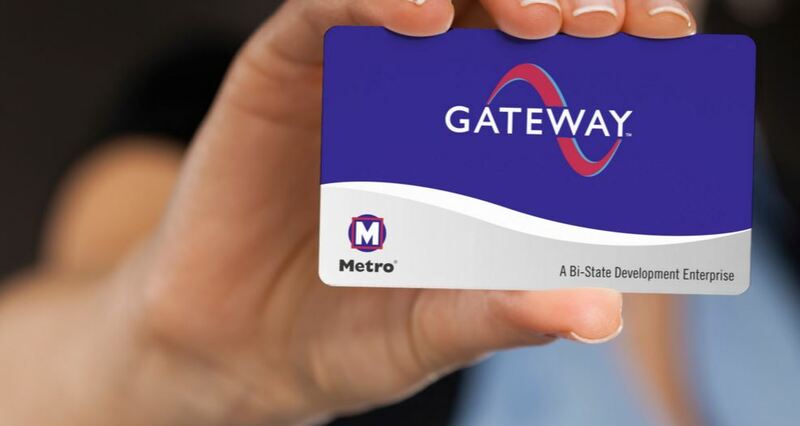 The Gateway Card was designed to be convenient, secure from theft and allows Metro to better serve the public with routes and schedules. You can always visit our website for more information at http://www.mygatewaycard.com. Any update as to when this will be available for general use? I get a monthly pass from WageWorks, and it would be nice to just have them automatically reload a smartcard every month instead of getting a pass in the mail. John, we’re continuing to move through the project implementation process, including testing customer-facing applications so that we’re confident we’re delivering a quality product. Testing of our more advanced components, like the Gateway Card Online Store, will progress heavily through the end of the year. In early 2018, we’ll assess how the entire system is performing across the board. If we’ve met our requirements for delivering the best possible smart card system, we’ll slowly begin rollout.